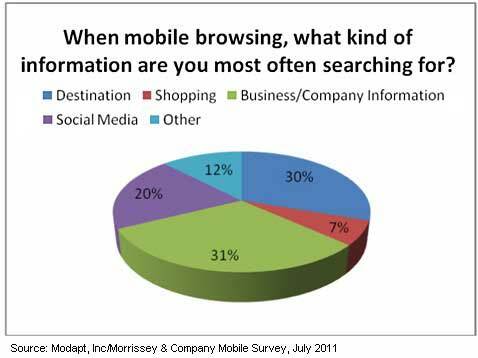 Smartphones are more prevelant than ever, and usage of smartphones to access the internet is is growing at an incredible rate, yet websites and companies relying on websites for their customers and clients to have engaging and relevant connections with them, are lagging behind. Here are some stats from a new survey from Modapt and Morrissey & Company. 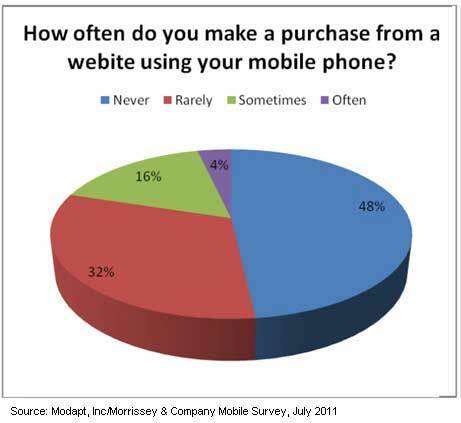 And few smartphone users make purchases via mobile device often (4%) or even sometimes (20%). Nearly one-half (48%) of smartphone users never make purchases via mobile. Not surprisingly, fully one-half (50%) of smartphone users say they feel less secure about paying for something via mobile browser than desktop browser. Sounds very familiar to the behavior and thoughts of users back in mid-late nineties when on-line stores first started appearing on the web. While 38% of mobile users say their employer relies on its website for business transactions, only one-third say their websites look good (22%) or excellent (9%) on a mobile device and only 15% of mobile users say their employer publishes a smartphone app. 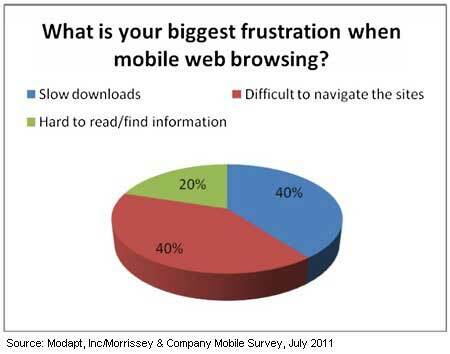 How do you feel about your employers mobile website experience?